Nothing defines football more than the players. Regardless of any political, religious, or cultural overtones, it is the players that we come to watch, the players who we beg to dazzle us week after week. It is a moment of brilliance, the shout of “what a move!” or “what a goal!” that burns these men forever into our minds. It is the dream of every child, to be like them, play like them. It is their mistakes on and off the field that make us realize they are human beings just like us. And even after they are gone, it is the memory of them, and the knowledge that there will never be another, that makes these men the greatest. Franz Beckenbauer is one of the most successful footballers of all time; his influence on German and European football goes far beyond his success on the field. As a player, Beckenbauer redefined the role of sweeper and helped restructure the national team, Bayern Munich and German football as a whole. As a coach he was able to do what few other football legends have done and transfer his success on the field to the sideline, leading Germany to World Cup glory as a captain and manager. 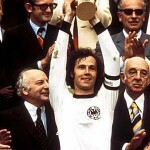 Franz Beckenbauer has come to epitomize German football over the past half century. Nicknamed ‘The King’ by his worshipers, Eric Cantona is one of Manchester United’s greatest players. He became a cult hero in United’s history, helping the Red Devils claim four league titles in five years of service under manager Sir Alex Ferguson. He also helped Manchester United to two F.A. Cups in 1994 and 1996. His career is littered with individual accolades and league titles with multiple teams, but the world will remember him for something other than his football honors. His controversial antics off the field gave him a disciplinary record that was equally decorated as his football accolades. Roy Keane has always been viewed as a bad boy on and off the fielding. Keane was involved in various incidents during his career that had negative impacts on his reputation. Nevertheless, Keane could work wonders on the field helping his team win. Keane won seven premier league titles, four FA Cup finals, four FA Community Shields, the UEFA Champions League, Intercontinental Cup, the Scottish Premier League and Scottish League Cup. Thierry Henry is one of the greatest footballers the world has ever produced. Defenders feared him, and to let him get even the slightest sniff of goal, was to invite him to lash in a shot. Whether in the air, on set pieces, from the penalty spot, or anywhere on the pitch, Henry always knew where the goal was, and was always working to get there. 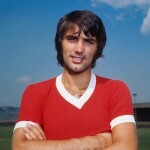 George Best defined the word icon in football. His “pace, his balance, his bravery against opponents who were trying to maim him” became his trademark, easily weaving his way through defenders and to the goal. He was a legend on Manchester United for a decade, and after that he bounced around several teams, continuously awing the stands. Off the field, however, Best was a raging alcoholic, whose binges eventually took their toll on his life. Best’s nightlife made him a tabloid legend, and his looks and charm earned him a celebrity that was never before seen in football. His skill and his wild lifestyle make him a footballer that will not soon be forgotten.